The widening income gap in the United States has been a topic of much conversation and research over the past several years. The rich continue to see most of the growth in income, while working-class people have seen wages stagnate and find it harder and harder to make ends meet. Many minimum wage workers have not received pay increases in recent years, and the gender pay gap remains wide. In addition, the high cost of necessities such as child care exacerbate the problem.1 In fact, recent policies, such as the 2017 Tax Cuts and Jobs Act,2 have only served to increase economic inequality by giving billions of dollars to wealthy individuals and corporations. This has left many working-class and lower-income individuals with few financial options and without the ability to plan for the future. The same study shows that there are certain factors—such as smoking, obesity, and exercise—that help explain some of the differences in life expectancy between the highest and lowest income quartiles across commuting zones—specific geographic areas.5 Living in areas with higher median home values, more college graduates, and more immigrants also helps those in the lowest income quartile practice more healthful behaviors, and therefore increase their life expectancy.6 Overall, the research suggests that cities that tend to have healthier behaviors also have longer-living populations of lower-income people. However, this area of research and public policy is complicated and hard to unpack. This issue brief offers examples of policies that have been successful in reducing smoking rates because it is one of the major factors identified as helping explain some of the differences in life expectancy. However, the tie between income and life expectancy—and in leading healthy and fulfilling lives in general—is multifaceted. Smoking-related illnesses also continue to impose substantial costs on taxpayers. According to the Campaign for Tobacco-Free Kids, total annual health care expenditures from smoking in the United States are approximately $170 billion.16 The government carries most of this burden, with $39.6 billion in annual Medicaid expenditures, $45 billion in Medicare payments, and $23.8 billion in other federal tobacco-related health care costs.17 Ultimately, there are strong public health and financial incentives for communities to address tobacco control, and it makes fiscal sense for the federal government and states to encourage local programs. Cigarette taxes have been shown to be a highly effective policy in stopping smoking.20 Studies have shown a relationship between price increases and smoking rates. For every 10 percent increase in the price of cigarettes, there is roughly a 2 percent reduction in adult smoking, a 6 percent to 7 percent reduction in smoking among children, and a 3 percent to 5 percent reduction in cigarette smoking altogether.21 In addition, lower-income individuals, along with people of color and younger groups, have been shown to be more likely to smoke less or stop altogether because the price of cigarettes is raised.22 Given these findings, cities and municipalities should consider higher tobacco taxes as part of their efforts to decrease smoking rates among lower-income populations, which could in turn decrease the life expectancy gap. In the JAMA study on income and life expectancy, the authors provide a ranking of race and ethnicity adjusted expected age at death by commuting zone and income quartile. The areas where the bottom income quartile has the highest life expectancy are New York City, New York; Miami, Florida; Newark, New Jersey; Port St. Lucie, Florida; and several commuting zones in California—Santa Barbara, San Jose, Los Angeles, San Diego, San Francisco, and Santa Rosa.34 While states such as New York and California are clear leaders in tobacco prevention policies—with some local policies going as far back as the 1980s35—they do not represent all places with robust tobacco prevention campaigns. The sections below outline public policies and efforts in Chicago, Illinois; Houston, Texas; and Austin, Texas, places that have implemented tobacco control public policies in an effort to increase the health and well-being of residents in their communities. Unless otherwise noted, the information in the following case study sections was collected through phone interviews between the Center for American Progress and individuals at the Chicago Department of Public Health, Houston Health Department, and Austin Public Health.36 Where possible, CAP also supplemented some of the information collected through the interviews with additional public information and resources. To tackle youth cigarette use, the city looked to institute high-impact policy changes that would make cigarettes and related tobacco products less affordable, accessible, and attractive to youth. It worked to partner with Chicago Public Schools, the Park District, the Housing Authority, and other important community entities. City officials began major policy change in 2013 by regulating the sale of flavored tobacco products, including menthol, that are particularly appealing to young people. The city now prohibits sale of these products within 500 feet of high schools. Houston has also been a place of local innovation around tobacco prevention public policies and efforts. Texas ranks 29th among states and the District of Columbia for state tobacco taxes, with a tax of $1.41 per pack.46 There is no additional city tax in Houston, given restrictions at the state level. However, the city has taken on a number of initiatives that have successfully reduced smoking, including passing local laws and engaging in public media campaigns. This helped move its smoking rate to 13.1 percent in 2016, the most recent year for which data are available.47 In 2006, Houston passed Ordinance No. 2006-1054, which removed smoking from a variety of public places and workplaces.48 This policy was a multistakeholder effort that included the City Council; Houston Health Department; and community stakeholders, including health and environmental groups, among others. With this collective effort and a recognition that the health of Houston residents was of ultimate importance, the effort passed. 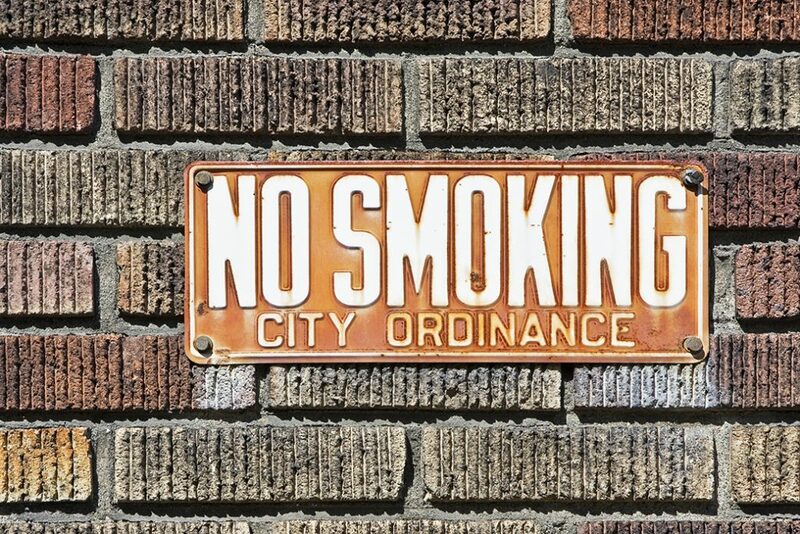 According to city officials, the passage of this ordinance initiated not just a policy change but also a culture change, as it created an atmosphere where smoking was less acceptable, particularly in public places. Residents were able to emphasize to others that smoking was not allowed in certain places and may even have helped drive people to quit lines or other resources available to reduce or quit smoking. Recent efforts focus on maintaining the reductions in smoking rates seen over the past several years through enforcement of current laws. Officials are beginning to look at policies around e-cigarettes and other tobacco products, as well as the potential for tobacco-free campuses in Houston. The city is working to engage people who identify as smokers through health clinics and other community efforts, particularly for younger individuals and those of childbearing age. There is some discussion around the state raising the minimum purchasing age for tobacco to 21,52 but significant community support would be required for such a change. At this time, resources for tobacco prevention are scarce—the Community Transformation Grant has ended—and the city sees funding as one of the major impediments to maintaining gains made, further reducing smoking rates, and continuing efforts to raise awareness about the dangers of smoking. As other cities do, Austin sees a lack of funding as a barrier to maintaining a robust tobacco control program, and officials’ actions largely depend on the resources available. However, in 2010, the city received nearly $7.5 million in CDC funding through the federal Communities Putting Prevention to Work (CPPW) initiative to devote to tobacco use reduction and exposure to secondhand smoke.56 This grant specifically targeted individuals with disproportionate incidence of chronic disease, including lower-income individuals. Austin officials primarily used this funding to implement strong tobacco-free and smoke-free policies, in addition to supporting ongoing media campaigns and general education.57 For example, officials worked with private companies to implement smoke-free workplaces and partnered with public schools to develop educational programs and signage for promoting tobacco-free campuses. Officials cite a 34 percent decrease in Travis County’s smoking rate between 2011 and 2014, hitting a record low of 10.7 percent in 2014. Unsurprisingly, this reduction in smoking coincides with the timing of the CDC grant funding. However, Travis County’s smoking rate has inched back up to approximately 14 percent. City officials note that funding has become more limited in recent years. As seen in the research and local initiatives described above, comprehensive, evidence-based public health policies play a key role in lowering smoking rates and changing behaviors and cultural attitudes around tobacco use. These policies are also essential to efforts focused on increasing life expectancy and improving population health, especially among lower-income populations. Policies such as smoke-free air laws, higher tobacco taxes, and tobacco control programs—especially when used together—create an environment where tobacco use is unattractive, expensive, and restricted, and may help close the gap in life expectancy between higher-income and lower-income populations. Passing stronger tobacco prevention public policies will also save money down the road. Reducing smoking rates lowers medical costs,61 decreasing expenditures for federal programs such as Medicare. Lowered smoking rates can also be directly helpful to states. The Centers for Disease Control and Prevention provides state costs from smoking: For example, Texas sees annual health care costs of $8.85 billion.62 Access to funding plays a key role in efforts to reduce smoking rates—as seen in the lessons learned from the case studies above—with, for example, funding from the CDC being used to help lower Travis County’s smoking rate to a record low. Examples such as these show that a relatively small amount of upfront funding, particularly when sustained, can lower smoking rates and prevent smoking-related illness and diseases, likely leading to cost savings down the road. The federal government should provide increased and dedicated funding to localities to build on current programs and implement additional tobacco prevention efforts in a comprehensive and sustained manner. The evidence is overwhelming that evidence-based tobacco prevention policies lower smoking rates. These policies also have little to no downside; they improve public health and lower future health care costs. Moreover, they hold the promise of helping increase life expectancy for lower-income individuals. However, these policies alone cannot solve the issues of growing income inequality and diverging life expectancy across the nation, as such challenges are multifaceted and run deep. While state and city policymakers can and should adopt targeted tobacco prevention policies within their communities to help individuals thrive, the federal government must contribute to these efforts by providing financial resources to implement robust programs. Theresa Chalhoub is a senior policy analyst for Health Policy and the Women’s Initiative at the Center for American Progress. Madeline Twomey is the special assistant for Health Policy at the Center. This publication was made possible in part by a grant from the Peter G. Peterson Foundation. The statements made and the views expressed are solely the responsibility of the Center for American Progress.